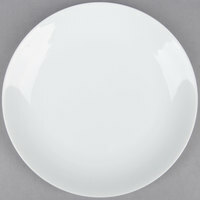 Serve your delicious desserts with style by using this Acopa 8" round bright white coupe china plate. Use this Acopa 8" round bright white coupe china plate to complete table settings at you restaurant, cafe, or catered event. 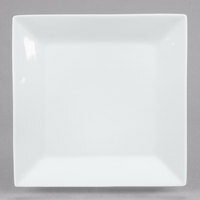 This 8" plate is perfect for serving a variety of your delectable desserts or side dishes. 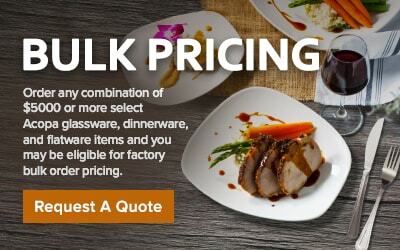 It boasts a durable construction that will last, even in your high volume restaurant. 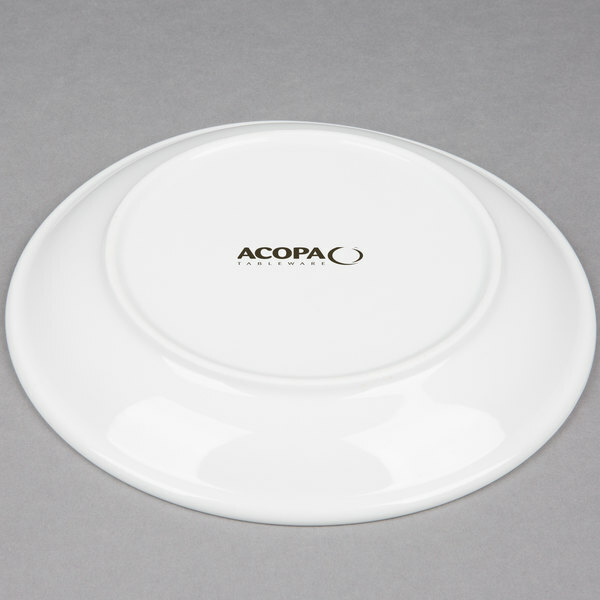 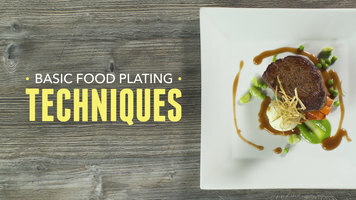 Confidently serve your guests with style using this Acopa plate. 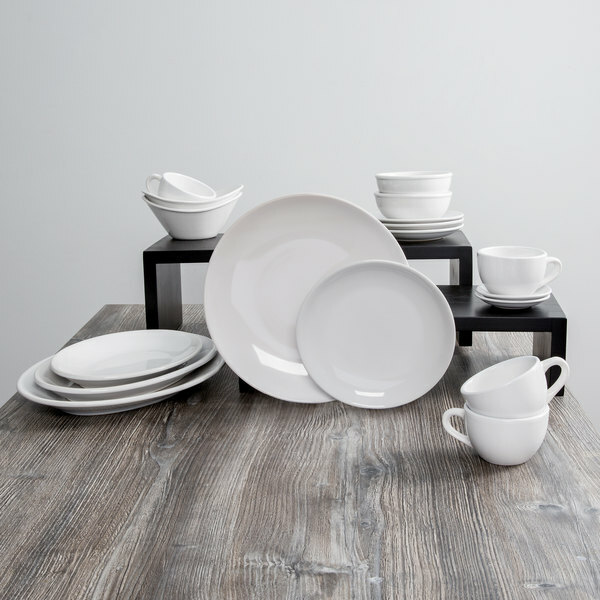 Its bright white color enhances the pattern and color of table linens, dinnerware accessories, and table settings, while also providing superior contrast, making your offerings seemingly pop off the table for an attention-grabbing appearance. 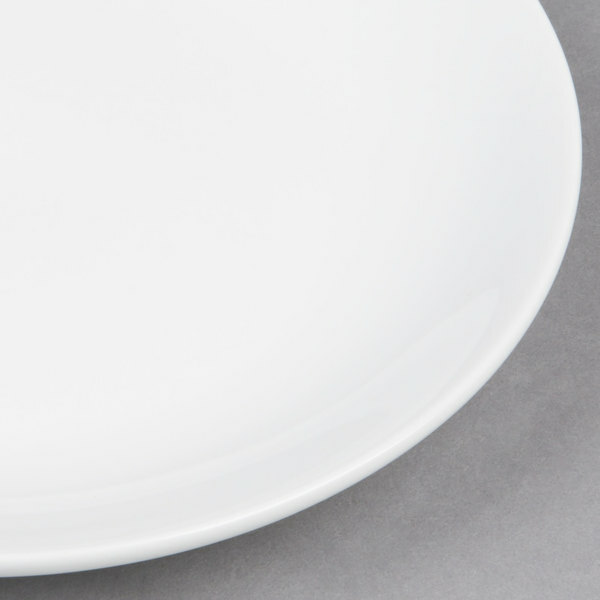 This piece is made of strong china and is protected from scrapes and scratches. 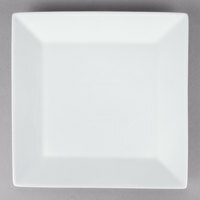 With a classic design, this plate will be a long-lasting addition to your tabletop. 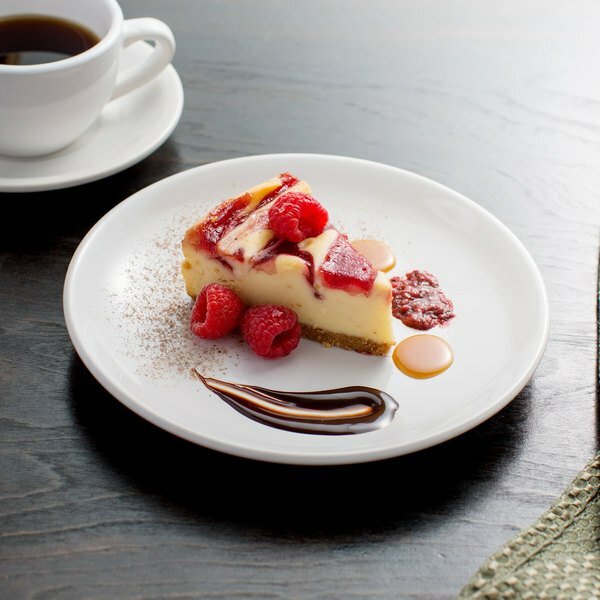 Its clean, classic styling will draw your patrons' eyes towards your perfectly presented dessert arranged in the center of the plate. 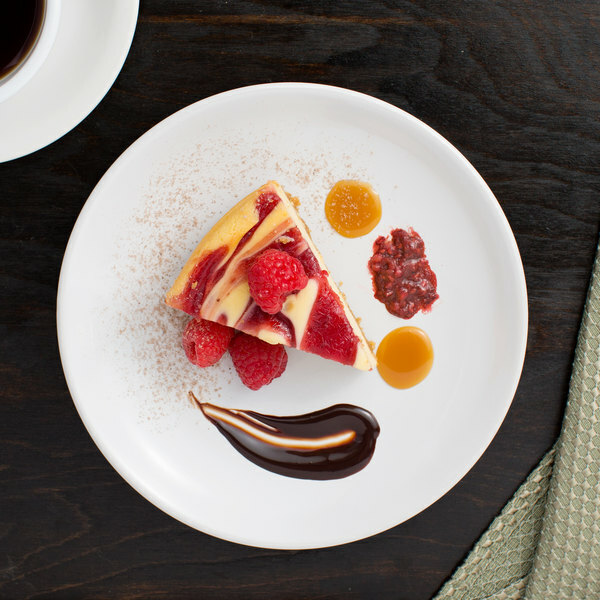 The coupe design adds a degree of sophistication while also able to contain sauces from your signature desserts or sides. 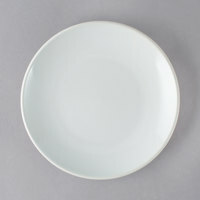 After 40+ years using my everyday china, I just got tired of it and replaced it with Japanese bowls in various blue and white patterns and bowl sizes together with these simple white plates...they look great together and the plates are large and classic looking...the combination looks great.